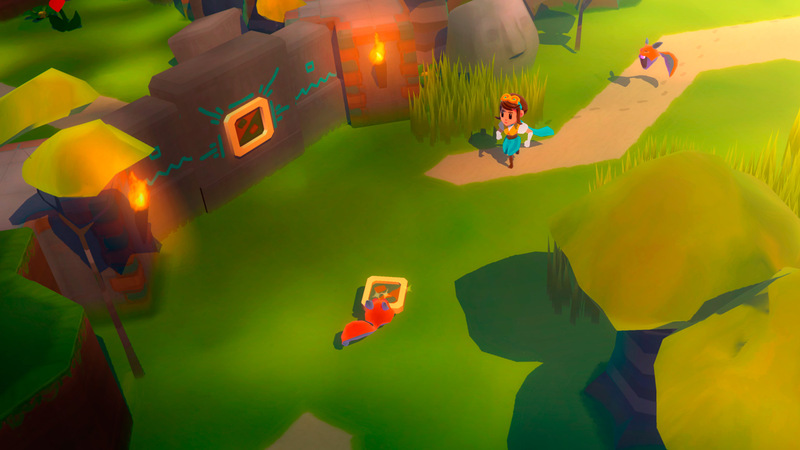 There was a moment in World to the West, a few hours into it, where I stared at the game’s overworld map trying to figure out where I needed to go. While looking at the map, I thought it looked familiar, a few seconds later I realized that it reminded me of the overworld map in The Legend of Zelda: A Link to the Past. It obviously wasn’t the exact same, but the two shared some similarities that were hard to dismiss as a fan of Zelda. In a few ways World to the West is similar to the top-down Zelda dungeon crawlers, but with some differences and also the fact that World to the West has a few more noticeable flaws. 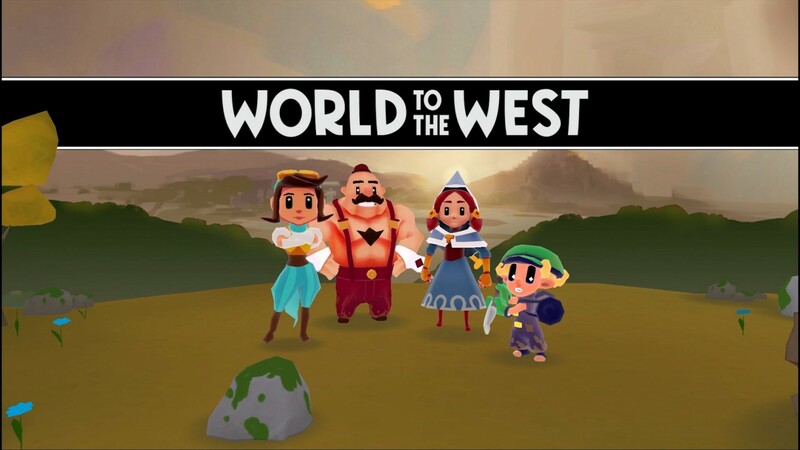 World to the West is a puzzle adventure game that has the player take control of four different characters, who each have their own stories and skill sets, as they try to save the world. The four characters are: the Teslamancer Lumina, the small digger Knaus, the strongman Sir Clonington and the adventurer Miss Teri. While in the early hours of the game these characters are all on their own and following their own path, they all eventually meet up and team up. The game mainly focuses on using these characters unique abilities to traverse the world and solve puzzles, with a fair share of back tracking in-between. Traversing the world of the game may only require a single characters abilities or sometimes all four of the characters, and knowing how to efficiently use each of them and when to use them is a big part of the game. Along with traversing the world, there are a few dungeon like areas along with enemies to fight throughout the game. World to the West is a solid puzzle exploration experience albeit with some flaws that hurt the experience. 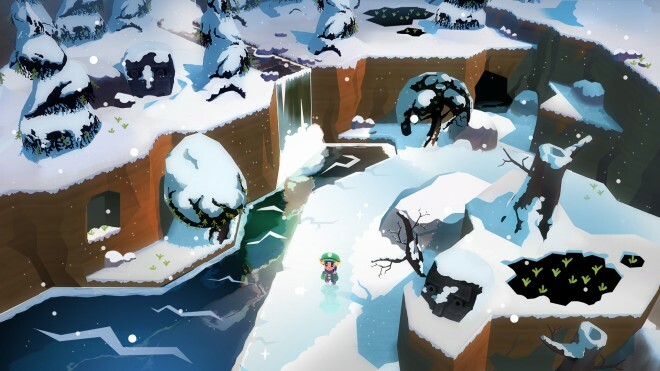 Puzzle solving and exploration – World to the West best shines in the moments that have the player solving a variety of puzzles in order to advance to another area or section of the game. Each of the playable characters have their own abilities, making each one have useful skills for reaching new areas and solving puzzles. Miss Teri has the ability to control animals with the touch of her scarf, allowing her to use these animals to crawl through small holes or lift her up to high ledges. Lumina has the power to blink a short distance or a gap, along with an ability she gets later that lets her teleport to the position of an energy ball. Finding out what a character, or characters, need to do to move forward can at times lead to some satisfying puzzles. I enjoyed a majority of the puzzle solving in World to the West, and while there were a few puzzles that were rather dull, most did a good job of using the abilities at the players disposal. Like a pop-up book – The games art style somewhat reminds me of something you would see in a pop-up book, it doesn’t wow you with the graphics, but it is a nice looking game overall. Between the underground areas in the game and the different areas in the overworld, there is a nice variety of locales to see that all are pleasant to look at. There were a few areas that didn’t look as great as the rest of the game, and these areas were sometimes difficult to figure out where to go. I also thought that the music in the game was much better than I was expecting, and there were a few tracks that fit the world really well and that I enjoyed. Four times the backtracking – One of the biggest annoyances in any game is backtracking, having to repeat an area or go back to places you’ve already been, is rarely fun. 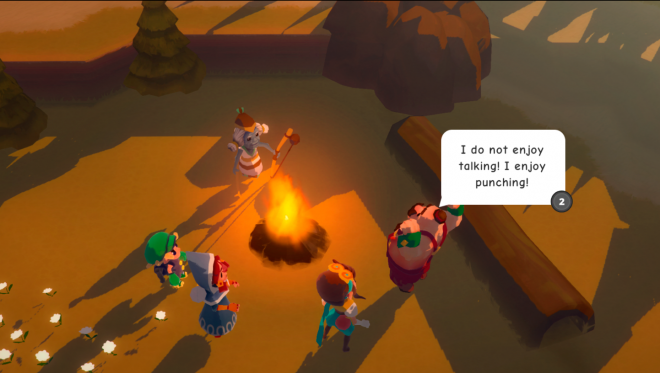 Unfortunately, World to the West has its fair share of backtracking. Players can only switch characters at save areas that are signified by a totem pole with all of the characters faces on it. Once you reach a save area you can fast travel to it if you are at another save area, here’s the catch though, only the character(s) that have reached the save area can fast travel to it. When players get all four characters together at a save point, and they traverse through a section of the game until the next save area, they have to basically traverse the same area four times in order to bring each character to the next save area. The world is crafted in a way in which each character typically has their own path to the next save point, but it still is basically the same path over and over again. It really is not fun and it artificially prolongs sections of the game. In need of some fine tuning – I think World to the West is a solid game, but it could have been better if it had fine tuned certain aspects of the game. I encountered a few bugs that, while not gaming breaking, were a bit annoying, like getting stuck between two planes of a level and not being able to move along with some objects having odd geometry. These bugs were small, but they occurred a little more than you would like. Along with the bugs, other aspects are in need of tightening up. I found it hard to aim projectiles in a precise way, as the controls just didn’t feel right for where I wanted to aim. Another control issue I had was with Knaus’s melee attack, in most games a melee slash attack will hit any enemy in front of a character in a 180 degree angle, for Knaus though, his shovel attack felt more like a 110 degree angle. It may seem like a small complaint, but the unpredictable nature of his attack caused me a fair share of headaches during a boss fight and a few other sections. Tightening up the controls and a few mechanics in the game would have definitely helped with some of the frustrations I encountered in the game. While somewhat in the same vein as the top down Zelda entries, World to the West doesn’t come close to being nearly as good. The interesting use of characters and overall well-done puzzles are hurt by annoying backtracking, a lacking story, and a few smaller issues, that all hold the game back from being a much more fun experience. Even with that said, it still is a solid experience with good elements that some people will get a fair amount of enjoyment out of. World to the West is published and developed by Rain Games. It released for Xbox One May 5, 2017, for $24.99. A copy of this game was provided for review purposes.